Manage, Create and Delete DNSSEC Records! 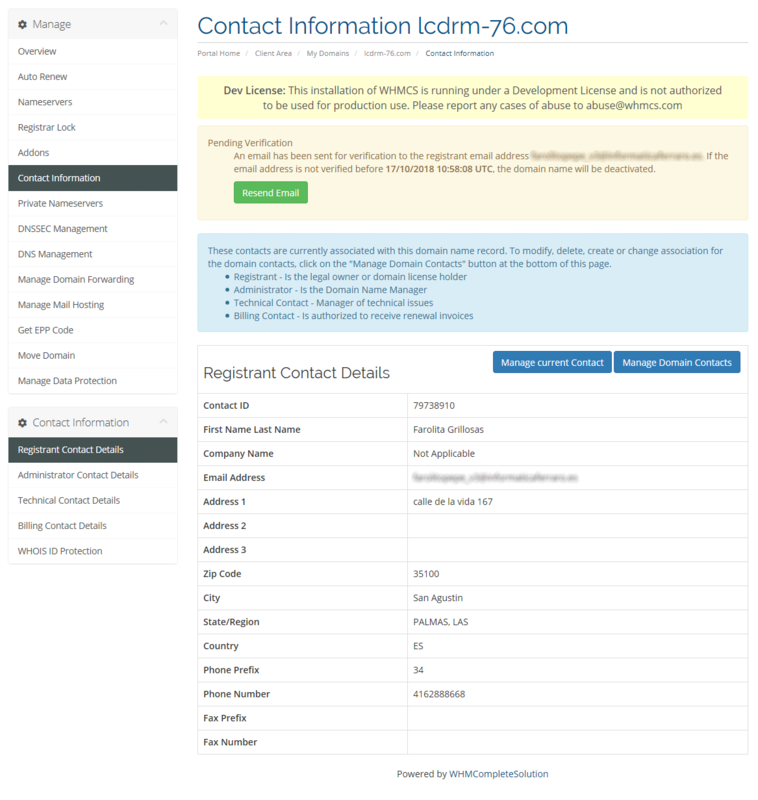 The Extended Management Domain Interface allows full Domain Contact Management for the Registrant (reg-c), Admin (admin-c), Technical (tech-c) and Billing (bill-c) Contacts. 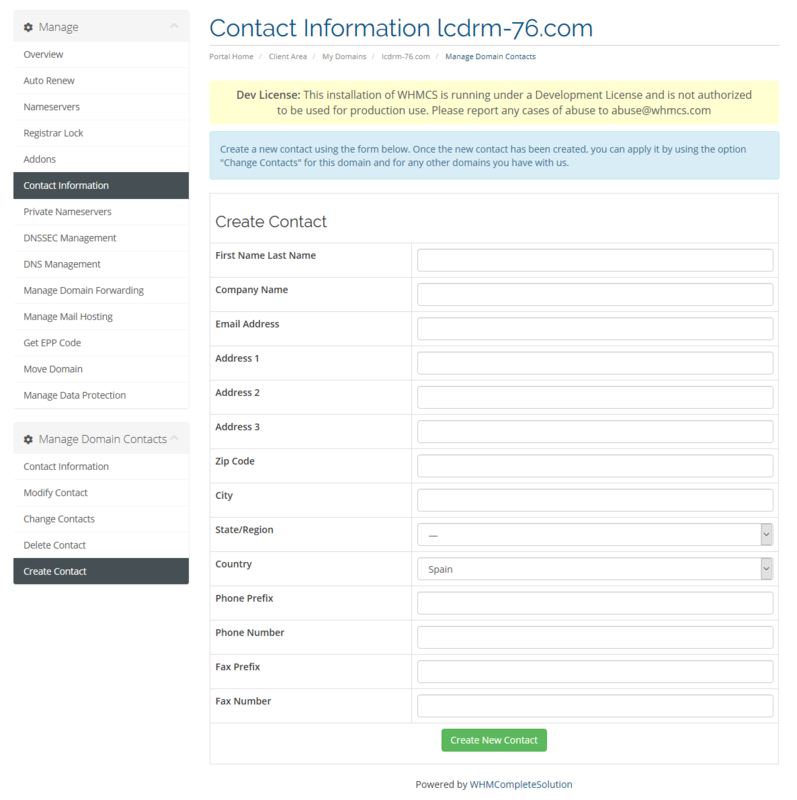 You can create new contacts, modify, delete and assign/change the contacts of your choice for your domains. No more support tickets from your Customers asking for creating or changing to another contact for a domain. Save time and money and let your Customers do this Job! 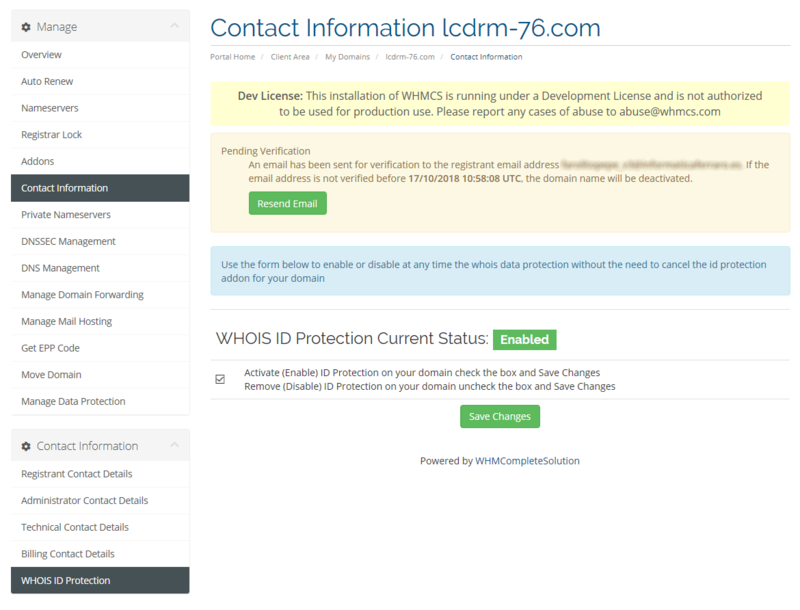 Whois ID protection is build in with WHMCS. It can be added while registering a domain, or later from the client area by the customer itself or by the Admin from the admin area. However, there is not built-in option to toggle on/off temporarily the whois data protection temporarily. Your customers need to remove the domain addon for id protection completely in order to expose temporarily the whois details and purchase the addon again to get whois protection again activated. But this has been ended! Your customers can now toggle on/off the Whois ID protection from the client area without the need to remove the domain addon ID Protection. CNS Management has been come very important and WHMCS has this build in. But you have no overview about configured Child Name server's. You and your Customer just do not know how many Name servers are registered, what is the host name or the IP for the same. 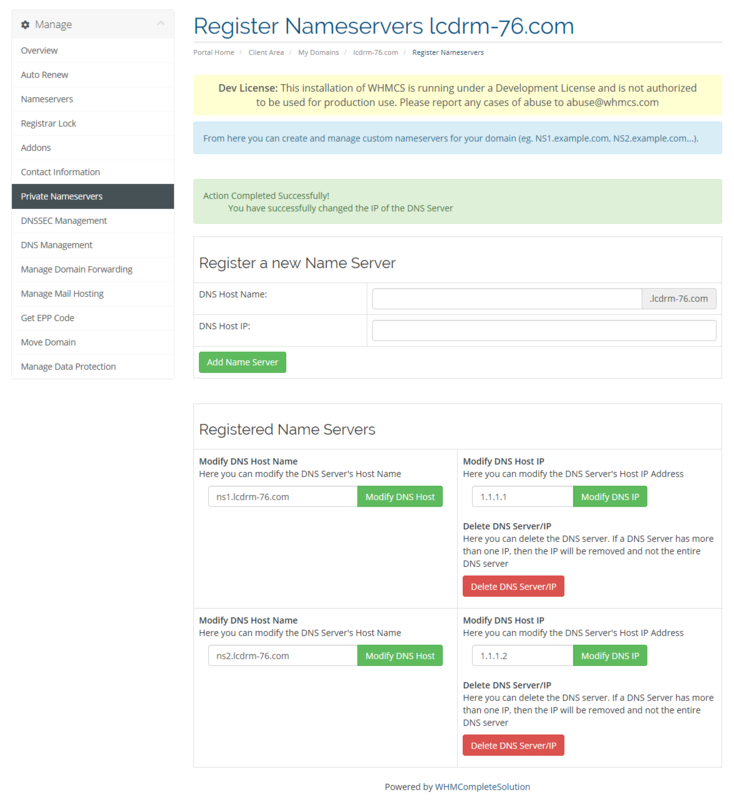 With our Child Name server Interface you can handle this very easy and comfortable. Importance of DNSSEC is growing but not built-in with WHMCS. 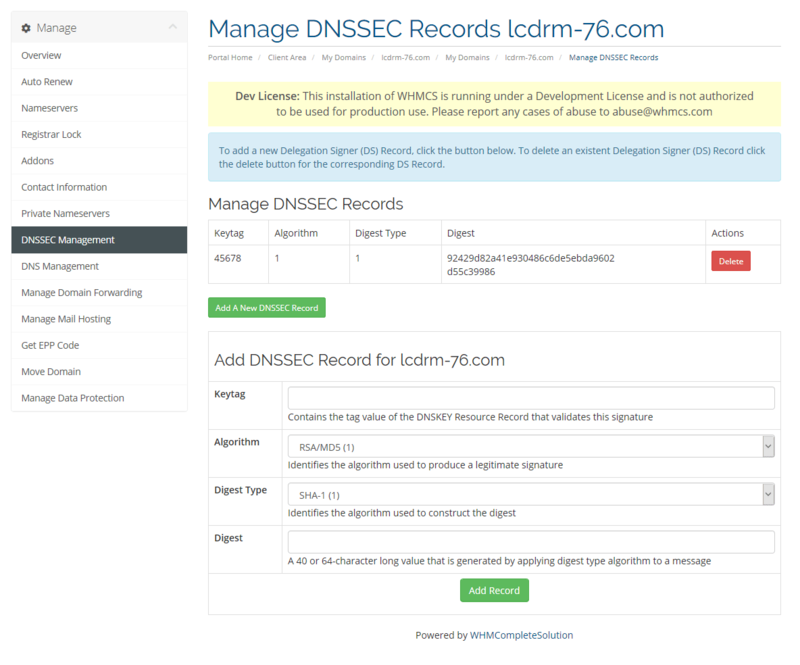 Like for our DNS Management Interface (RAMDI) the DNSSEC management is now also available directly from the Advanced Domain Management Interface! 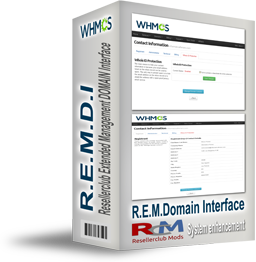 Our Resellerclub & LogicBoxes Extended Management Domain Interface for WHMCS takes 100% care about all the features available for an extended Domain Management Interface and with a clean integration within your WHMCS system. Look for yourself, how you can gain and present your customers with a more professional and fully featured looking extended Domain Management interface. Multi LogicBoxes Support for ResellerClub, NetEarthOne, Resell.biz, Resellercamp, etc.